If you're afraid of clowns, killer clowns specifically, it's going to be a tough couple of months because New Line Cinema just released a new trailer for the horror thriller based on Stephen King's classic novel, IT. Pennywise is lurking in sewers and shadows as he terrorizes the town of Derry, Maine and a group of kids known as the Losers Club. The mysterious deadly serial killer has been around for centuries and now has his sights on the vulnerable and awkward kids who become bound by their fear of this shape-shifting monster. The trailer shows new footage and a few chilling sequences. This film won't be for the squeamish. Bill Skarsgård is absolutely bone-chilling as the killer clown. Andrés Muschietti directs this first installment when the Losers Club are children. Part 2 is expected to follow that covers the kids as full grown adults called back to Derry as the disappearances begin to happen again. IT also stars Finn Wolfhard, Jaeden Lieberher, Jeremy Ray Taylor, Sophia Lillis, Jack Dylan Grazer, Chosen Jacobs, Wyatt Oleff, Nicholas Hamilton, Owen Teague and Logan Thompson. 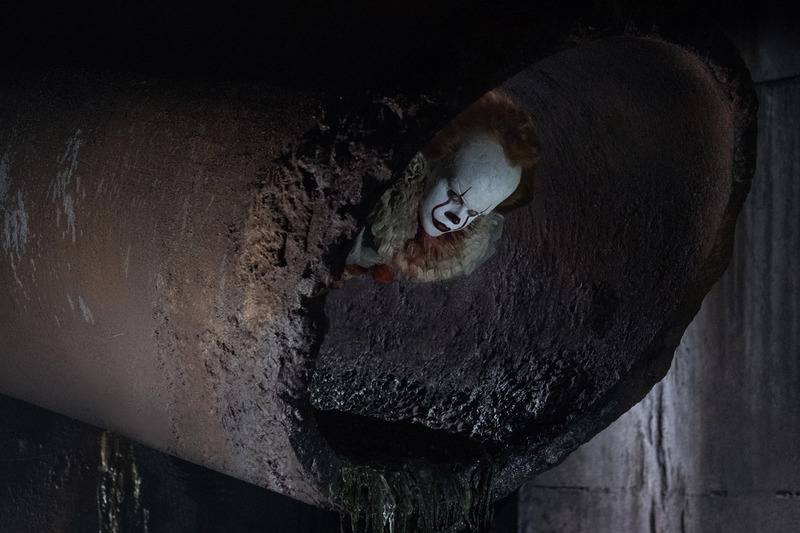 New Line Cinema’s horror thriller “IT,” directed by Andrés Muschietti (“Mama”), is based on the hugely popular Stephen King novel of the same name, which has been terrifying readers for decades. It movie trailer movies New Line Stephen King video Warner Bros.
Labels: It movie trailer movies New Line Stephen King video Warner Bros.